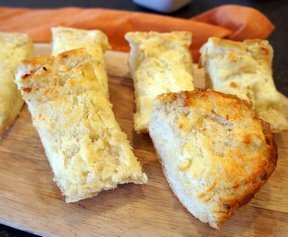 A quick and easy bread with a savory flavor that is great to serve with soup, stew, or chili. It is also good with spaghetti and meatballs. Preheat the oven to 375 degrees F. Grease a 9 x 5 loaf pan and set aside. Heat the oil over medium-low heat and then add the onion. Cook onion until browned. Add in the pepper and garlic; cook an additional minute. Combine the flour, sugar, baking powder, and salt in a bowl; stir with a whisk to mix. Add the browned onion mixture, cheese, and beer; stir just until moistened. 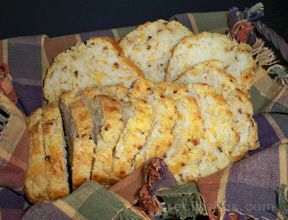 Pour into the prepared loaf pan and drizzle 1 tablespoon of melted butter over the top. 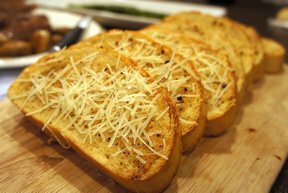 Bake for 35 minutes and then take out of the oven and drizzle the other tablespoon of melted butter over the top of the loaf. Put bake in the oven and bake for another 25 minutes. Loaf should be golden brown and a toothpick poked in the center should come out clean. Remove from the oven and let stand for 5 minutes before removing from the pan. "Great flavor and so easy to make! Had it with Bacon cauliflower soup and it was wonderful! Looking forward to having it with my beef stew. What a fantastic recipe." 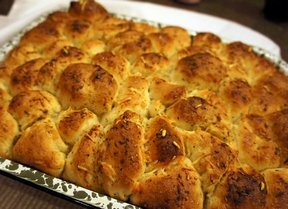 "I made this bread the other night when I made chili. The kids and my husband all thought it was great with the chili. It had tasty and easy to make."